Home » data » New Data Puts Hidden International Basins on the Map. Literally. New Data Puts Hidden International Basins on the Map. Literally. 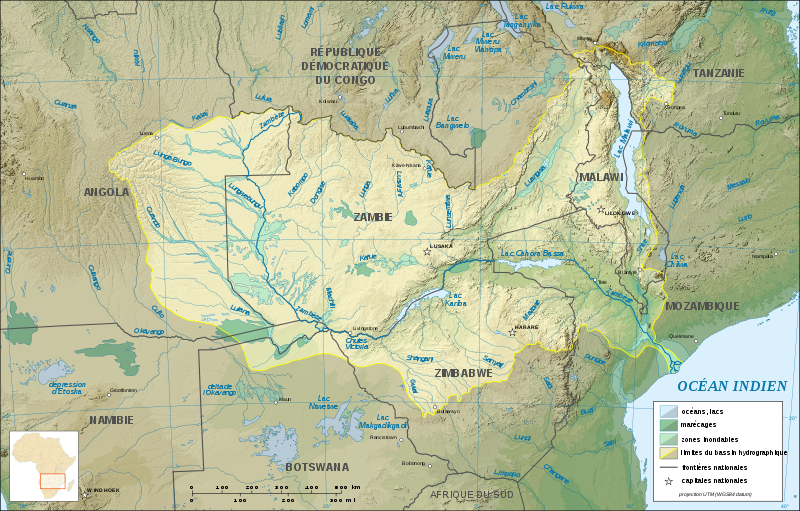 In an earlier post, we wrote about the potential for conflict and cooperation in the Nile River Basin – highlighting the impact of new political boundaries (the creation of a new state, South Sudan) on transboundary basins, and the role of climate change, among other factors. What we didn’t talk about was data – particularly data that reveals new, previously undetected international river basins. The last two decades have seen an explosion in the quantity and quality of geographic data, including the accuracy of our political boundaries and elevation data. As the elevation data improves, so do the results of flow accumulation modeling, which leads to more precise locations of watershed boundaries. By re-doing these intersections with newer and improved data, we identified new basins that were previously invisible to geographers working with global datasets. The boundaries outlining countries and river basins are very unlikely to shift in direct response to climate change. However, the impact of changes in precipitation patterns, timing, or amounts on the relative importance of a river basin to an individual country or in the relations between two countries will depend strongly on geography, and an accurate mapping of how river basins overlap nations could prove essential in assessing the importance of such shifts. By Francesco Femia & Caitlin Werrell in data, mapping, Nile Basin, riparian, river, South Sudan, transboundary water, water, water conflict on August 31, 2011 .